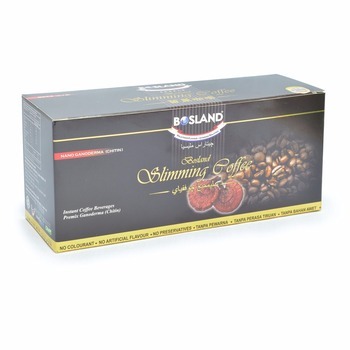 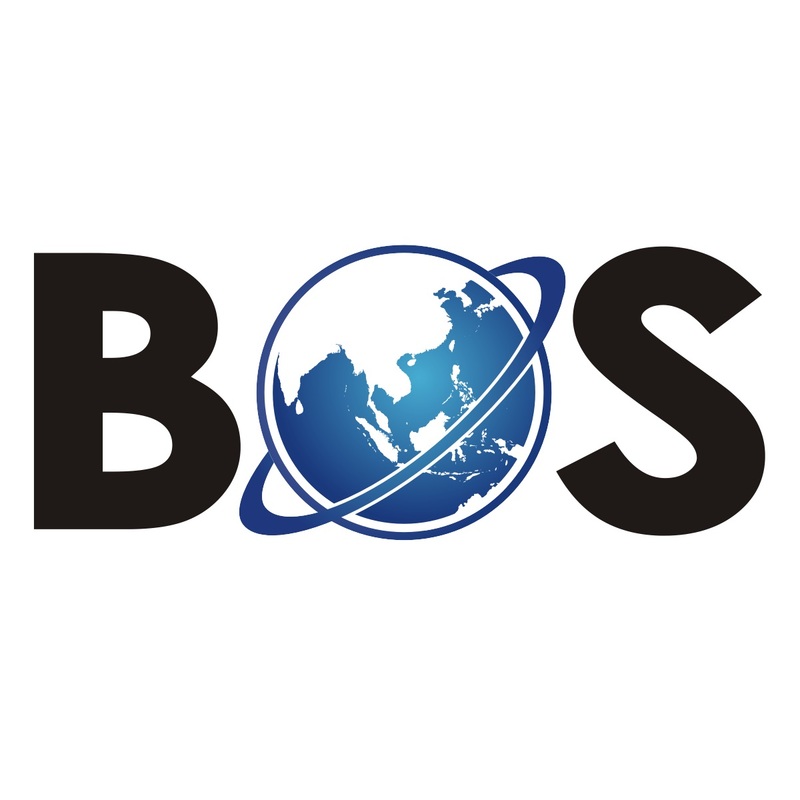 Bosland Slimming coffee is a natural premium coffee, premix with superfine Ganoderma nanopowder. 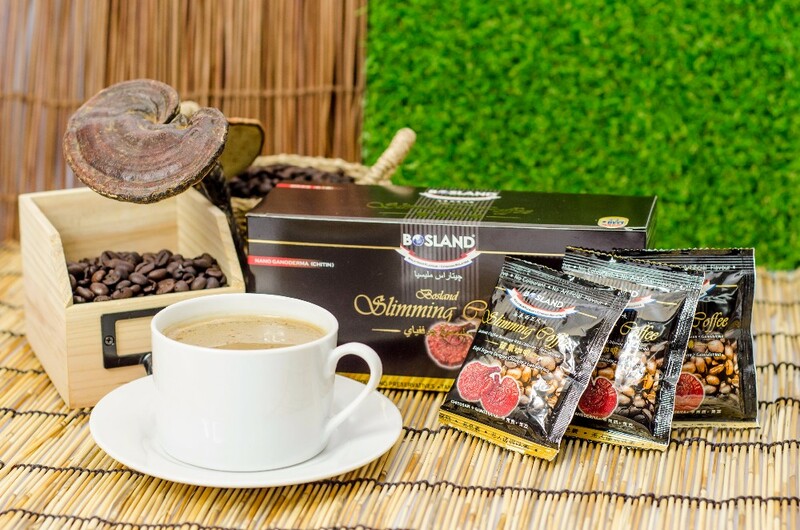 Ganoderma is rich in medicinal properties especially Chitin (Chitosan). 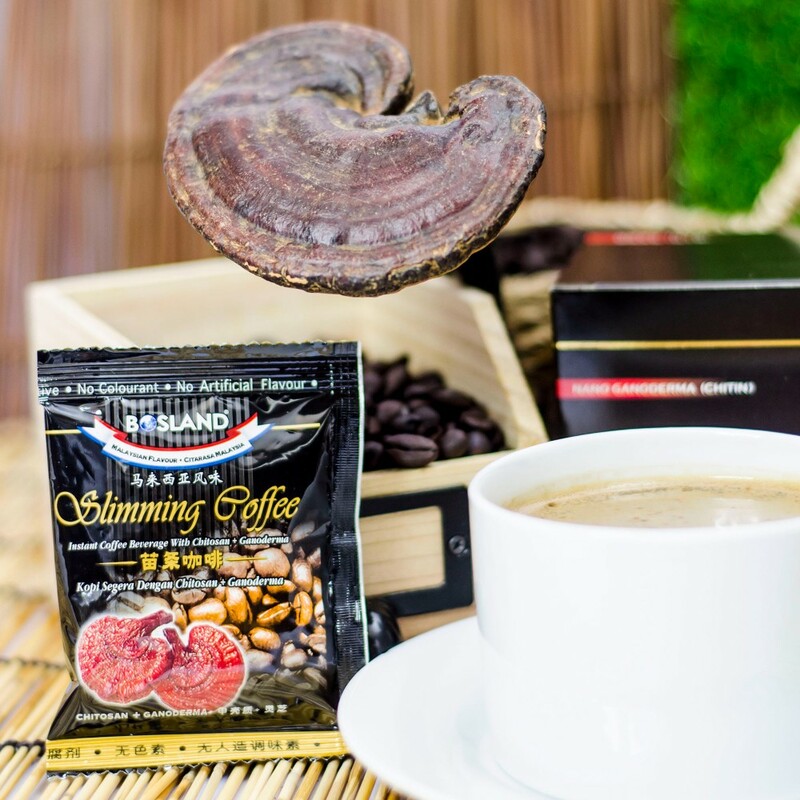 The superfine Chitin property in Ganoderma is easily to be penetrating into the bowel system to promote peristaltic process in the colon tracts and accelerate for the defecation. 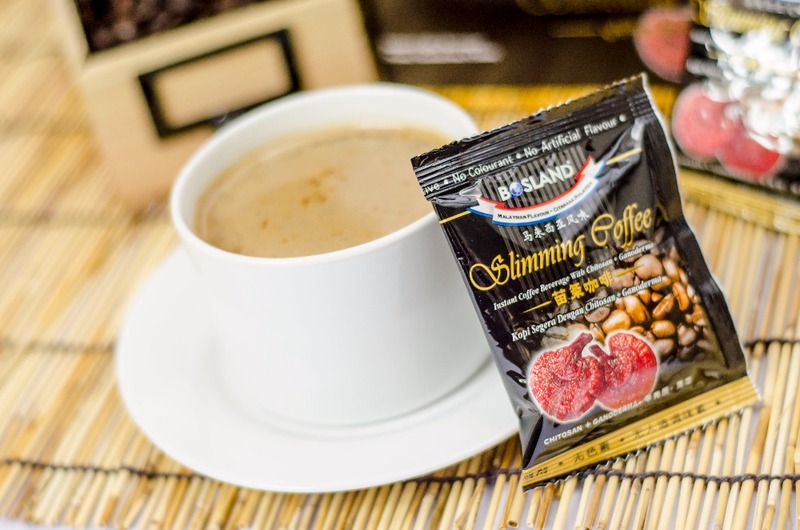 Meanwhile of promoting for the bowel movement, the superfine Chitin property is able to absorb the excessive fatty tissues and excrete it out from the body thoroughly.